Comet C2007Q3 & NGC4651: Comet 2007 Q3 was right next door, only 1,300 seconds away at the speed of light in November, 2009. Appearing in nearly the same direction when this image was taken is a galaxy 74 million years away at the speed of light (300,000 km/s). 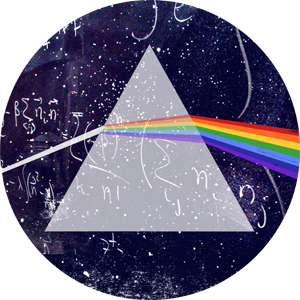 Telescopes are time machines: the farther away something is, the further back in time you see it. The light from NGC 4651 began its journey to Earth when dinosaurs roamed the Earth during the late Mesozoic era. 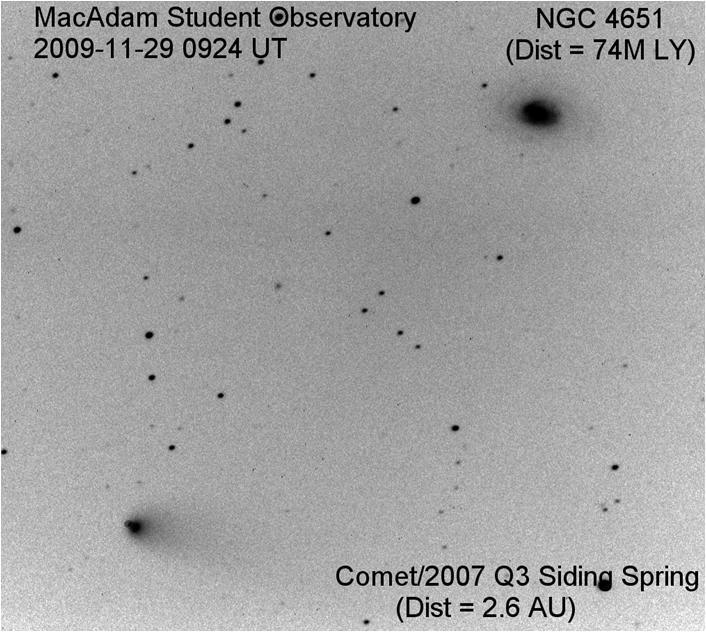 Comet 2007 Q3, warmed by its brief time near the Sun grew a tail of vaporized gas and dust. This was a one-time event for this small chunk of dirty ice. Its orbit is essentially parabolic; it made only one pass to the inner solar system before forever returning to deep space.